Over the past week, the right wing has been in a collective outrage over the supposed “scandal” surrounding Obama’s broken promise that people would be allowed to keep their healthcare if they so choose. Unfortunately, this manufactured and partisan outrage has overshadowed a very real scandal involving ObamaCare which threatens to harm millions of people. The scandal which I am referring to is the partisan rejection of ObamaCare’s Medicaid expansion by numerous GOP governors that is estimated to result in nearly 5 million Americans not getting access to health insurance. In this case, the fictitious scandal is distracting from the substantive one and, if the media doesn’t refocus, it is very likely that the American people will remain ignorant of a real danger to their health and wallet. While selling ObamaCare and arguing in its favor after its passage, President Obama made it very clear that everybody to have health insurance would be allowed to keep their plans if they so choose—not to mince words, this was a lie. Not everybody will be able to continue on their current health plan but Obama lied and said that they would so that the GOP wouldn’t use it as a point to scaremonger (a la, the “death panel” hysteria being created out of the requirement that insurance cover end-of-life counseling and best practices boards). This is just another case of Obama—who, at the end of the day is a politician—being a politician and it shouldn’t surprise anybody. President Obama was wrong to lie, but it isn’t some great scandal that he misled people on this point, particularly given the actual policy reasons why this lie is true. The inability of many people to stay on their healthcare plans is due to many healthcare plans falling below the minimum standards set by the Affordable Care Act. 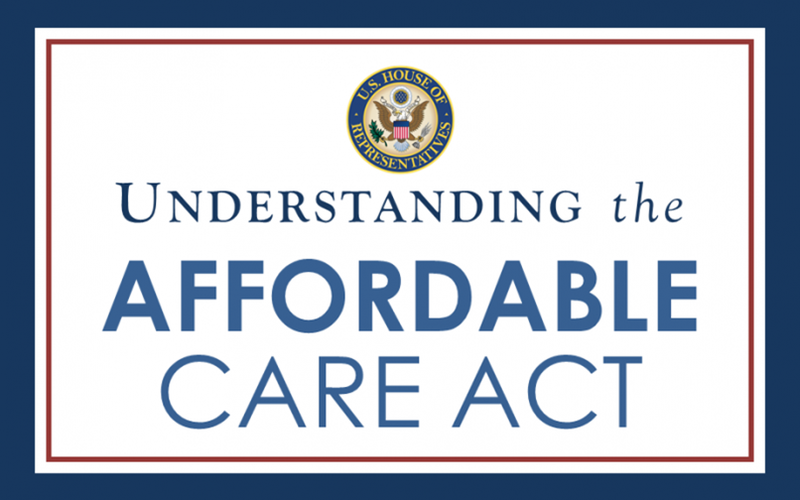 Under the ACA, there are now certain requirements for healthcare which must be met in order for a healthcare plan to be sold. If a plan doesn’t cover certain things (ex. Hospitalization), it isn’t allowed into the exchanges and people will be forced to switch off of it. In short, people with awful health insurance plans that cover few important things are now being given access to better plans while their previous, inferior, plans are being phased out of the market. This aspect of the Obamacare fight may sound complex, but it is, in fact, very simple. 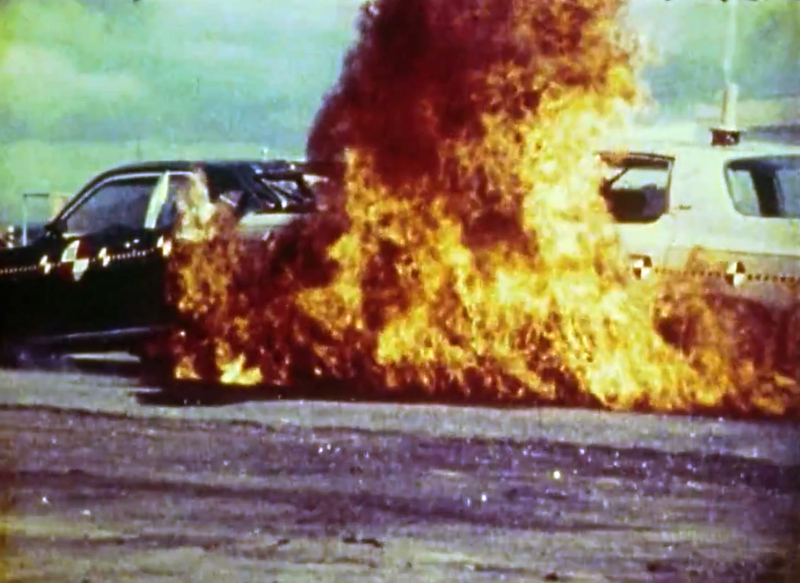 This situation is analogous to if, in the aftermath of the Ford Pinto explosions, the government were to implement strong regulations banning the Pinto gas tank defect and mandate that all people who currently own Pintos get a subsidy to buy a new vehicle. Only the most misinformed consumer wants to keep the inferior and potentially explosive Pinto when a better one is on the market at no cost to the consumer. Unfortunately, the complexity of health insolence and the efforts of the GOP to misinform people have led to many Americans complaining that they are no longer allowed to buy the health insurance equivalent to the Ford Pinto, and creating this scandal. Beyond the policy irrelevance of this “scandal,” the fact remains that this situation is just the most recent in a long series of GOP effort to attack ObamaCare. Given their track record, nobody with an ounce of intellectual honesty can claim that the GOP “outrage” is anything more than a hollow partisan effort to obstruct the ACA, even after they lost in the legislature and Supreme Court, as well as during two elections and an extra-legal government shutdown. Obama’s lie may be an opportunity to posture by the GOP, but it has no policy results and nobody is actually going to be hurt. Unfortunately, a little talked about decision by a group of state governors is the exact opposite of this—nobody is talking about it but it has the potential to harm many Americans. Obamacare mandates that everybody buy health insurance, but it also uses several measures in order to depress costs of coverage and provide financial assistance to people who are forced into the market. Arguably the largest of these programs, as well as the most important one for the most vulnerable Americans, is the expansion of the Medicaid program to cover more people. Medicaid gives millions of poor and the working poor American access to health insurance that they would otherwise be unable to afford. Under the ACA, the Medicaid program is expanded in a way which will allow even more poor Americans to fall under the program and gain access to health insurance. This expansion to Medicaid is offered by the federal government to the state governments but any partisan governor has the ability to reject the expansion for their state. Basically, if a governor decides that he doesn’t want to accept the federal government’s money and is willing to face his constituents, he can single-handedly block thousands of poor Americans in his state from getting affordable health insurance. 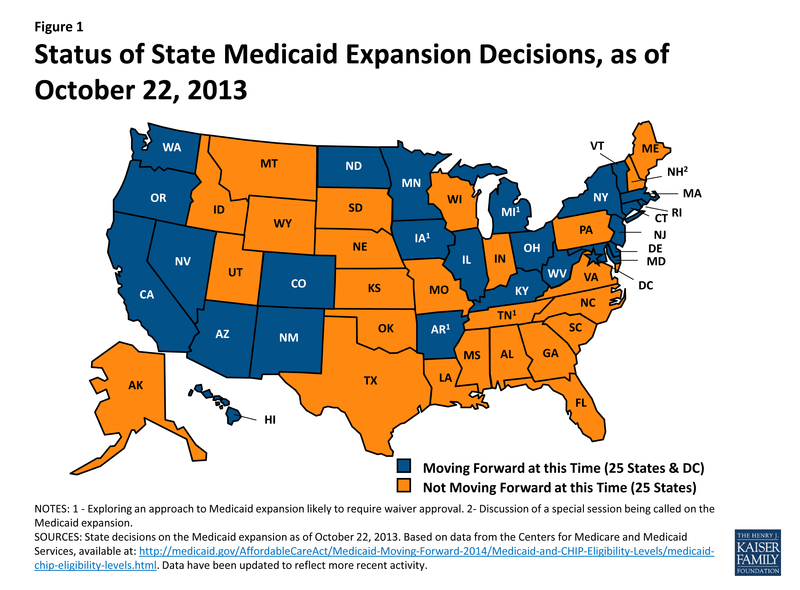 Unfortunately, 25 states—all of which have Republican governors—have refused the Medicaid expansion and will not allow their citizens to have access to Medicaid equal to that of the residents of the other 25 states. According to the Kaiser Family Foundation (a non-partisan think tank), approximately 4.8 million poor Americans in these 25 states will be denied the ability to get covered under Medicaid. This rejection is particularly damaging because it targets those who are the least able to get their own coverage under the law and is focused primarily in the states with the largest numbers of people without insurance. The fact that 25 state governors would put blind partisanship ahead of the healthcare needs of their states’ poor is a national scandal. There is simply no legitimate public policy reason for these governors to reject the federal government’s money and these governors should be called out. Partisan games are to be expected of politicians, but it is unacceptable for any politician to let their partisan gamesmanship override their duty to look out for the best interests of those who live in their state. ObamaCare is a political third rail for the GOP and virtually no Republican governor wants to be seen as promoting the law, even if it is immensely beneficial to their state’s citizens. 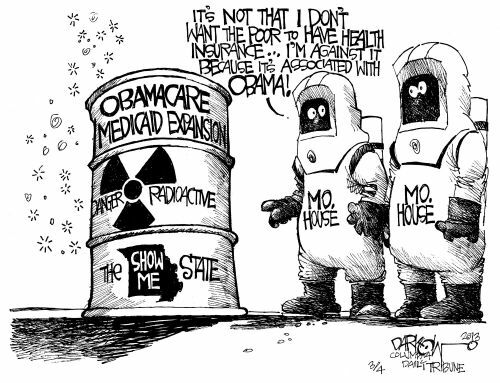 Any governor to support the Medicaid expansion would likely face a primary challenge. By rejecting the Medicaid expansion, GOP governors get to insulate themselves from a primary challenge, strike out at Obama (who they hate), and even reduce the effectiveness of ObamaCare itself. Politically, this is a win for them, but it is a massive loss for the poor constituents who are being sacrificed. If the media wants to talk about a scandal involving ObamaCare, they should focus on the one which is of actual consequence rather than the one which is being used by a party to score political points. The idea that partisan officials would stab their own constituents in the back in order to score political points is simply far more offensive and damaging than the idea that a politician lied. Reblogged this on New NY 23rd. The word is getting out about states such as Kentucky. Kentucky’s Democratic Governor Steve Beshear, used the funds offered by the ACA to set up their website early, using independent web designers, and has strongly promoted for his constituents to check out the offers. This of course is reflecting poorly on Kentucky’s Senator McConnell, and Rep. Rand Paul. Hopefully other “red state” politicians will get with the program or face stiff rejection in 2014.